Gnomon School of Visual Effects has announced an evening with Walt Disney Animation Studios, a free event hosted by five Gnomon alumni about how they landed roles at Walt Disney Animation Studios, and their experiences working on 2016’s animated animal comedy-adventure, Zootopia. The event will be held in Los Angeles on May 19th at the Gnomon Campus. Alberto Abril (Animator), Chika Saito (Modeler), Diana Zeng (Lighter), Dylan Ekren (Modeler), and Tyler Bolyard (Look Development Artist) will talk about their unique journeys into dream jobs at Walt Disney Animation Studios, and will discuss their contributions to Zootopia. Whether you’re a professional or aspiring artist, student or a fan of Disney movies, the evening promises to offer an insightful look into the many roles that contribute to making a blockbuster animated film, while the personal stories from six artists will inspire those looking to break into the industry. The event is free and open to the public. Entry is by RSVP only, and seating is first-come-first-served. Due to the nature of the work that will be presented, the event will not be streamed online, so don’t miss this opportunity to learn from these six artists in person at the Gnomon campus in Hollywood. Chika Saito (Modeler) models sets and props, working closely with the Art Directors to realize their vision into CG environments. She also partners with the layout department to deliver the model for their needs. “I believe the world we build has a lot of love because we put many thoughts and imagination into it,” Saito says. “I really love the process of bringing the characters’ world to life.” As a child growing up in Miyazaki, Japan, Saito always loved animation and dreamed to work at Walt Disney Animation Studios. Her dreams came true when she joined Disney Animation in 2013 to work on Big Hero 6. 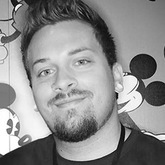 Dylan Ekren (Character Modeling Supervisor) is known for his ability to bridge design and modeling to bring life to characters at Walt Disney Animation Studios. Ekren graduated from Gnomon – School of Visual Effects, Games and Animation and started his career in CG as an illustrator, storyboard artist, and 3D generalist before joining Disney Animation in 2010. He has worked on films like Wreck it Ralph, Frozen, Big Hero 6, and most recently Zootopia. Dylan is a serious artist and a respected adult. One time he stayed up all night and wasn’t even tired. Tyler Bolyard (Look Development Artist) is responsible for painting textures for 3D characters, environments, and props. This includes creating shaders for their material qualities, creating and grooming hair and fur, as well as geometric instances for set dressing and environmental vegetation. “It’s an honor to be a part of the Disney legacy bringing characters and environments to life to help tell amazing stories that connect with audiences all around the world,” he says. 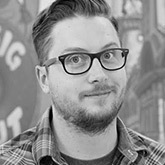 Bolyard was born and raised in a small town in Ohio and spent summer breaks drawing caricatures at the local theme park. He attended Columbus College of Art and Design and Gnomon – School of Visual Effects, Games and Animation. His career at Walt Disney Animation Studios began in 2014 when he began working on Zootopia. Alberto Abril (Animator) strives to create compelling and entertaining performances with every shot he touches. Born in Ecuador and raised in New York and New Jersey, his love of animation from an early age drove him to pursue his dream of becoming a professional animator. 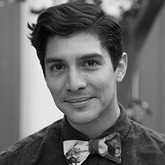 Abril received his BFA from Syracuse University and later attended Gnomon – School of Visual Effects, Games and Animation to further hone his craft. After graduation, he began his career as an apprentice animator on the film Alvin & The Chipmunks. In 2011 he joined Walt Disney Animation Studios as an animator working on Wreck-It Ralph and has since worked on Frozen, Big Hero 6, and Zootopia. Diana Zeng (Lighting Artist) works with the Sequence Supervisor, Director of Cinematography, Art Director and Directors to light and compose the final visual look of the shot that is seen by audiences on the big screen. This means more than just shining light on the scene, it is a careful balance of color and composition of values in the frame so that it supports the storytelling. Zeng was born in China and lived in Boston before attending CalArts and Gnomon – School of Visual Effects, Games and Animation. She began her career at Disney Animation in 2011 working on the feature film Wreck-It Ralph. She most recently served as lighting supervisor on Zootopia.